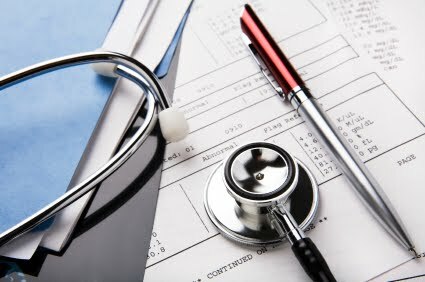 As making sure that no matter where in the world they are located, all MedWOW users have good access to medical equipment leasing & financing, the MedWOW medical equipment marketplace decided to associate with a leading US financing company, in order to provide individualized, tailor-made financing solutions. This is an unmatched opportunity to purchase US-produced medical equipment under excellent loan conditions, to creditworthy buyers anywhere in the world. This service is the latest in MedWOW’s commitment to providing turnkey, comprehensive solutions for medical equipment professionals globally. This new leasing and financing service is powered by an experienced major funding leader in the United States. Exclusive to MedWOW, this new Financing Service Partner conducts business in more than 80 countries, and possesses the capability of carrying out transactions in nearly every country in the world; opening new purchasing possibilities to medical professionals everywhere. With the launch of this new partnership, MedWOW’s Financing Service Partner can now offer MedWOW users the most aggressive, customized rates and terms in the business. All of these favorable medical equipment financing services are available exclusively through MedWOW. American customers can choose from 2 types of preferable financing services with excellent terms: either Leasing or Letter of Credit. Medical equipment leasing can be a shrewd option to purchasing. This especially can be the case if the equipment is expensive and won't turn a profit for years. Alternatively, you may need to maintain up to date equipment and avoid tying up cash in equipment that can become obsolete in a few years. Leasing can also be a good method of financing when you can't afford the down payment on an expensive instrument that is necessary to your practice. Either way, leasing your medical equipment can be a better alternative than a cash purchase or loan financing. Medical equipment leasing enables US medical facilities to procure equipment, without having to draw down their current bank credit lines. The Letter of Credit program allows buyers of medical equipment to receive extended payment terms of 60, 90, 180 days and up to 2 or 3 years, depending on the transaction size. Medical administrators everywhere know that the business of medicine is continually changing. New technology brings better opportunities for medical care, as specialized machines continue to be developed. As a result, medical equipment financing and leasing has become more important than ever. Customers outside of the US can choose from 2 types of unique medical equipment financing services with excellent terms: either the exclusive U.S. Export-Import Bank Loan Program or Letter of Credit. The U.S. Export-Import Bank Loan Program gives creditworthy international buyers, in both the public and the private sector, an unmatched opportunity to purchase US-produced medical equipment under excellent loan conditions. Loans are available for purchase of both new and used medical equipment manufactured in the US, and all loans are guaranteed by the US government. Letter of Credit allows buyers of medical equipment to receive extended payment terms of 60, 90, 180 days, and up to 2 or 3 years, depending on the transaction size and country of origin for buyer and seller.